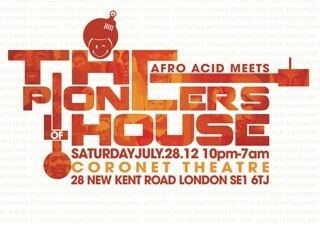 Chicago’s acid house originator DJ Pierre brings his Afro Acid label to London on Saturday 28th July when he headlines the Afro Acid Meets The Pioneers Of House Music event alongside two of the godfathers of Chicago House Music, Marshall Jefferson and Steve ‘Silk’ Hurley. These Chi-town legends are supported by Tom Stephan, Holland’s Bart B More and UK house dons Aaron Ross, Booker T and Richie Fingers, firing up The Coronet across three rooms of music. Marshall Jefferson is, the man who created Move Your Body (House Music Anthem), and many of Chicago’s original house music club hits, including ‘Open Your Eyes’. As chief A&R for Chicago’s incredible Trax Records, he produced ‘Acid Trax’ for DJ Pierre and the Phuture trio and masterminded the career of Ten City, producing their classic hits ‘Right Back To You’, ‘That’s The Way Love Is’ and ‘Devotion’. Steve ‘Silk” Hurley, who completes the legendary Chicago trio, the producer of two of House music’s earliest International hits, ‘Love Can’t Turn Around’ and ‘Jack Your Body’, Steve ‘Silk’ Hurley has notched up numerous anthems with Jamie Principle, Roberta Flack (‘Uh Uh Ooh Ooh Look Out (Here It Comes)’) and Tina Moore’s UK garage smash, ‘Never Gonna Let You Go’. Now teamed up with fellow Windy City producer, DJ Skip, their tag team sets are the toast of Chicago’s club scene right now, as well as touring their sets in South Africa, Slovenia and Las Vegas’ “Chateau/Bazaar” events. 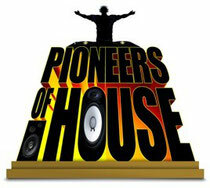 Taking place at one of London most impressive venues, The Coronet Theatre, which boasts a state- of-the-art 100k sound system and huge laser & lights shows across three arenas, Afro Acid Meets the Pioneers Of House hosts a huge production including a Live Stream of the event on screens across the Main Stage and around the club. For latest news and ticket info, click the link below.